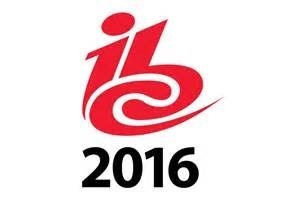 Azure Media Services is excited to be back at IBC and to be a part of the IBC Hackfest. It has been a busy year for the Azure Media Services team since the last IBC. We launched several products including Azure Media Analytics, General Availability of Azure CDN from Akamai Standard and Microsoft Stream. We also just wrapped up streaming the Rio Olympics to record audiences worldwide. One of the key highlight was that viewers live streamed 2.71 billion minutes of Olympic coverage – a new record for live event coverage. In addition to this, we had zero downtime. The streaming of Olympics demonstrates the strength of our platform to handle large media workflows reliably. In addition to the building trusted partnerships, we often hear from our customers that the reason they pick Azure is twofold. First, the scalable end-to-end capabilities we offer to build media workflows in the cloud and second, our commitment to continuous innovation which brings cutting edge video workflows to the Azure cloud. HEVC: We are conducting trials of HEVC encoding and delivery in Azure Media Services with our customers. Built on the same platform as the Premium Encoder, the new encoder provides enhancements including the following HEVC encoding at UHD/4K resolutions, including 4096x2160 pixels at 60 frames/second and support for high dynamic range (HDR) content. We’re continually moving the needle when it comes to scalable, secure, and cost-effective media workflows in the cloud, and invite you to take advantage by building on Microsoft Azure. We are located in Hall 15 MS.1. Drop by to see a demonstration of several of our services including our cutting edge Media Analytics capabilities.